Hallelujah, it's Friday! I hope you've all had a great week. Mine was exhausting now that I'm back to work but I'm hoping to check a lot off my list today. As promised, I am back today with a reading update. I constantly get questions about what I've been reading lately so I wanted to share with you all. Also, if you have any great recent reads, comment below so we can pick them up too! Let's dive in! On my recent road trip to Virginia with my mom, we downloaded a couple audiobooks to keep us entertained. 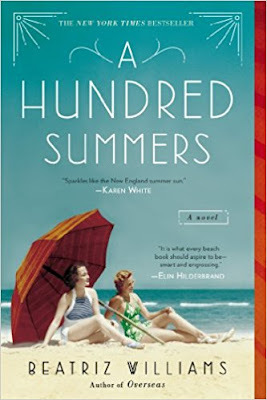 The first one we listened to was A Hundred Summers by Beatriz Williams. I've seen a couple of her books at various bookstores or on book lists but they never really appealed to me before. I finally decided to give them a try because it seems like so many people love them. I was pleasantly surprised and we both really enjoyed it! But this summer is different. Budgie and Nick Greenwald—Lily’s former best friend and former fiancé—have arrived, too, and Seaview’s elite are abuzz. Under Budgie’s glamorous influence, Lily is seduced into a complicated web of renewed friendship and dangerous longing. 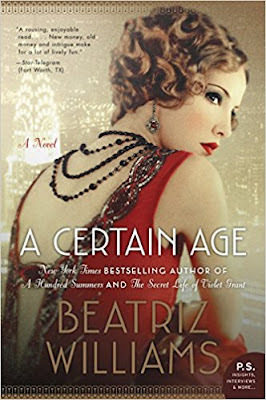 We liked the first book by Williams so much that we got another one called A Certain Age. My mom didn't end up hearing the end of this one (sorry mom! ), but I really liked it. If I had to pick between the two I would say A Hundred Summers is better though. Both of the story lines were kinda out there but I like that they shared similar character histories. So neat to realize that you know part of a character's back story already. 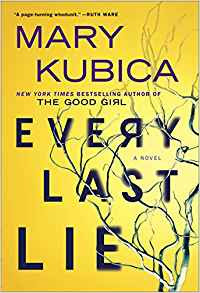 Mary Kubica is one of my favorite authors for all things scary aka thrillers. Her books are sooo good and keep you wondering what's going on until the very last page. I loved Every Last Lie and read it super quickly. I don't want to give anything away so I'll only post part of the synopsis :) Oh and if you haven't read The Good Girl by her, stop everything you're doing and click here to buy it. I LOOOOOVED it! 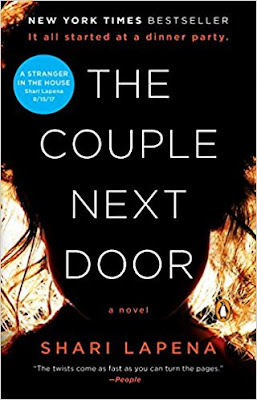 The Couple Next Door by Shari Lapena was a crazy book. I've heard so many good things and it definitely lived up to those reviews. It's another thriller (shocker!) but not as scary as some of the other books I've read lately. It just leaves you wondering what is going on with each of the characters and trying to guess the motives of those involved. I also went through this one super quickly and was left in awe at the end. Pick it up asap! Let me preface this by saying I have a love affair with Nantucket. I have never been but LOVE reading about it and want to go so badly. I know that many of you know this already lol but it makes my book choices a little biased. The Identicals was very different from Hilderbrand's other books though and I've read almost all of them. 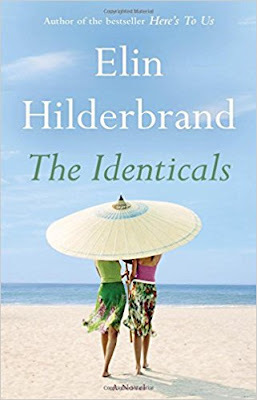 This is an easy beach read but a refreshing change for the some of the thrillers I like to read. Everyone needs to read something light every now and then right?? Identical twin sisters who couldn't look more alike...or live more differently.Harper Frost is laid-back, easygoing. She doesn't care what anyone thinks of her. She likes a beer and a shot and wouldn't be caught dead wearing anything fashionable. She's inherited her father's rundown house on Martha's Vineyard, but she can't hold down a job, and her latest romantic disaster has the entire island talking. Two beautiful islands only eleven miles apart.Tabitha Frost is dignified, refined. She prefers a fine wine and has inherited the impeccable taste of her mother, the iconic fashion designer Eleanor Roxie-Frost. She's also inherited her mother's questionable parenting skills--Tabitha's teenage daughter, Ainsley, is in full rebellion mode--and a flailing fashion boutique on Nantucket in desperate need of a cash infusion.